It's hard to believe that Dodge's Grand Caravan has been changing the minivan landscape with cutting-edge innovations for the past 30 years, but it has been. For 2014, a 30th Anniversary special edition model is offered with unique standard and available equipment to celebrate this incredible milestone. Super Stow and Go Seating allows users to put the seats into the floor with one hand, switch from a seating configuration to a cargo configuration in a matter of seconds. 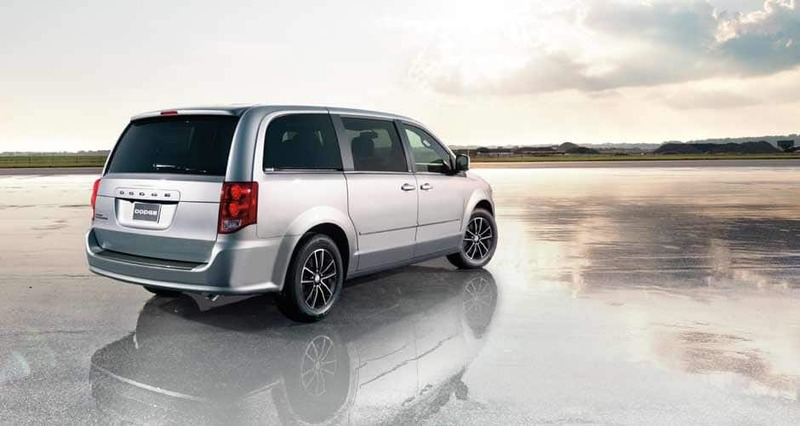 The award-winning 3.6-liter Pentastar V-6 is also in the mix for the 2014 Grand Caravan which delivers 283 horsepower while receiving up to 25 MPG. Powering the 2014 Dodge Grand Caravan is the award-winning 3.6-liter Pentastar V-6 engine paired with a smooth-shifting six-speed automatic transaxle. This engine was named a "10 Best Engines" by Ward's Automotive three years in a row. In the Grand Caravan, the Pentastar V-6 delivers a best-in-class 283 horsepower and 260 lb.-ft. of torque and best-in-class 3,600 lbs. towing, all the while, achieving up to 25 MPG on the highway. The 2014 Grand Caravan also features a driver-selectable fuel economizer mode. Drivers can change the transaxle shift schedule with the push of a button to maximize their fuel economy. Grand Caravan's design is intended to attribute its dynamic driving nature. A front fascia that sports the Dodge signature "split crosshair" grille and quad headlamps team up to give the face of the 2014 Grand Caravan a sportier feel. Another innovation from the minivan leader is the Stow 'n Place™ roof rack system that lets owners stow the roof bows in the side rails when they're not using them and snap them easily back into place when needed. The ability to stow the roof bows when they're not being used means less aerodynamic drag and wind buffeting and better overall efficiency. The 2014 Dodge Grand Caravan 30th Anniversary Edition will be available on both the SE and SXT models, and will continue to set the mark in minivan versatility, style, and value. The Dodge Grand Caravan continues to be the best all-around vehicle for young families with more value added features than any other minivan in the segment in the same price range. The Blacktop package, an exclusive customized appearance, is available on SE and SXT models, and includes 17-inch polished aluminum wheels with gloss black pockets, a gloss black grille, and black headlamp bezels among several other unique features. For more information, or to test-drive a 2014 Dodge Grand Caravan, call us today!